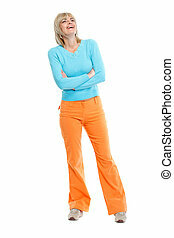 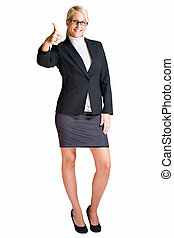 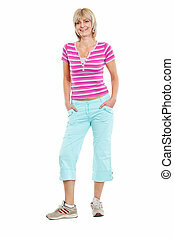 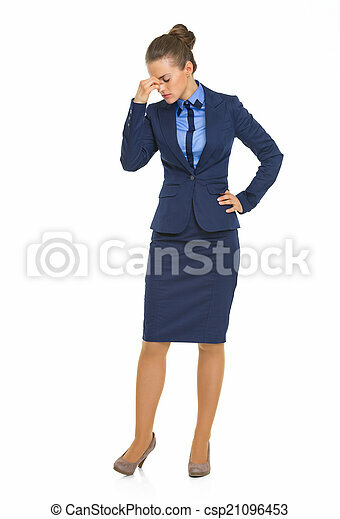 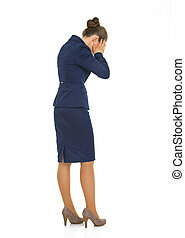 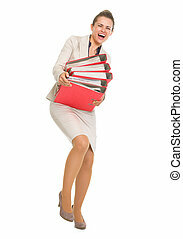 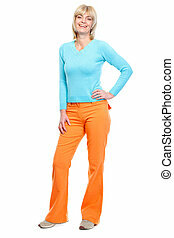 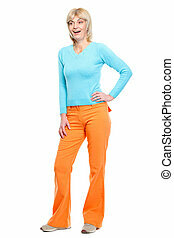 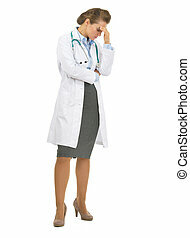 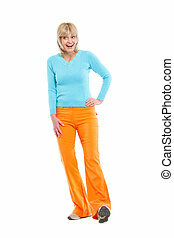 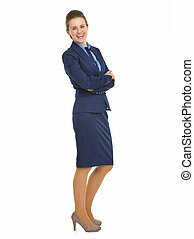 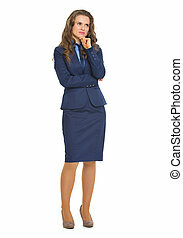 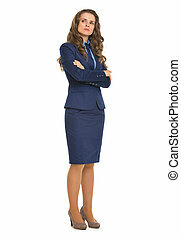 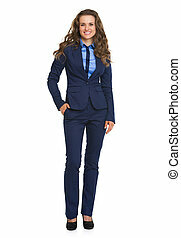 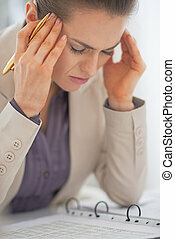 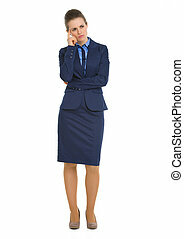 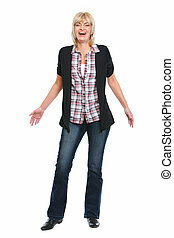 Full length portrait of frustrated business woman. 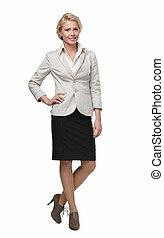 Full length portrait of blond business woman isolated on white background. 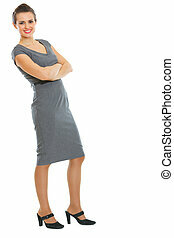 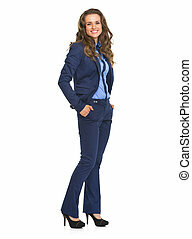 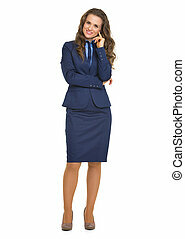 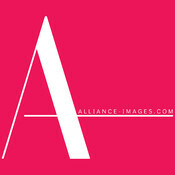 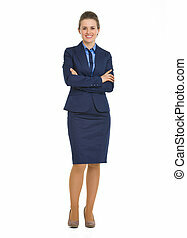 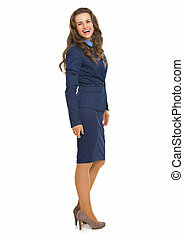 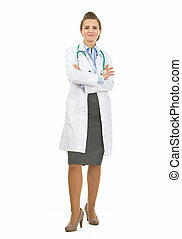 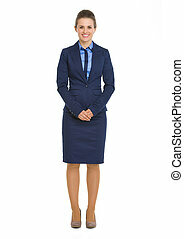 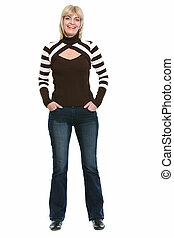 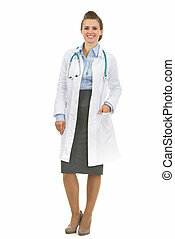 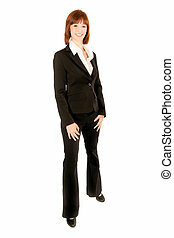 Full length portrait of attractive elegant business woman isolated on white background.